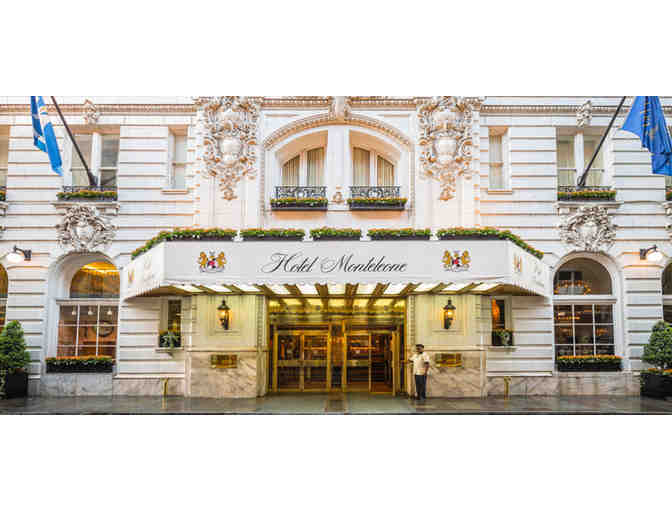 A certificate for a two night stay for two (double occupancy) at the Hotel Monteleone, a historic luxury hotel in the heart of New Orleans' French Quarter. Certificate is for room and tax only. Offer based on availability. Stay must be completed by November 30, 2017. Advanced reservations required. Based on availability. Certificate not valid for weekends (Friday/Saturday nights) or special event periods. Additional black out dates may apply. Certificate is non-transferrable, may not be substituted, cannot be replaced if lost or stolen, and has no cash value.